Memory foam, pressure relieving cushion for your GoTo Seat. The GoTo Pressure Cushion has been designed to provide your child with pressure relieving comfort as well as additional postural support and pelvic stability. The memory foam is scientifically-proven to distribute your child's weight evenly, so they can play (and benefit) even longer. 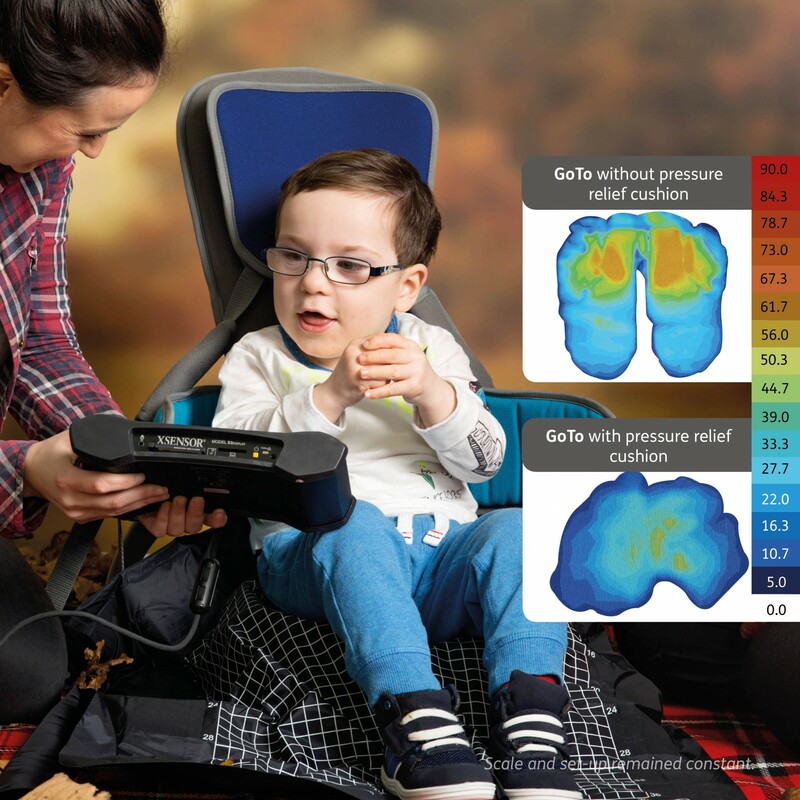 The Pressure-Relief Cushion is so much more than padding - It’s made up of a combination of memory and support foams which provide moderate pressure relief and improved pressure distribution. 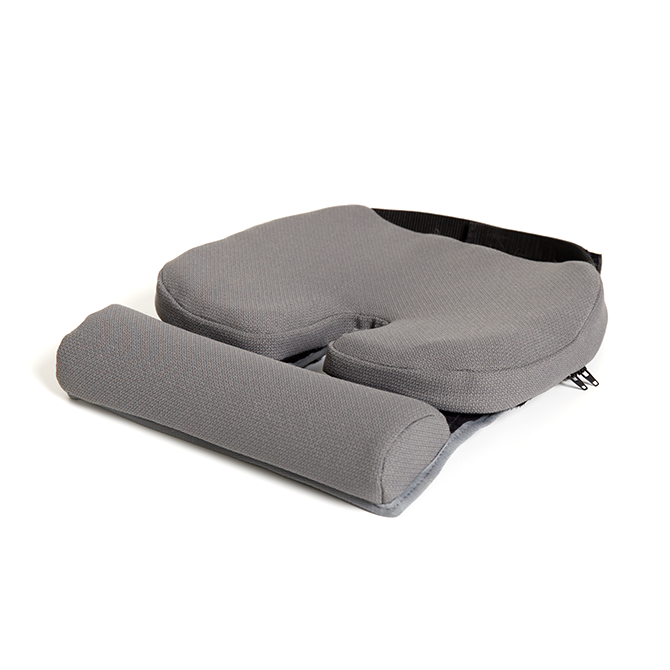 The Cushion and Roll can be used together or separately to provide postural support and pelvic stability. It is ok. But we have impression that is costly. Great has a multitude of uses for us. Toller Zusatz zum GoTo Seat, dadurch tolle Sitzmögluchkeit auch über längere Zeit. a great addition - makes it much more comfy. Product design and development is essential for our business, once we released the Pressure Cushion, we know that it would be a welcome addition for the Goto Seat. 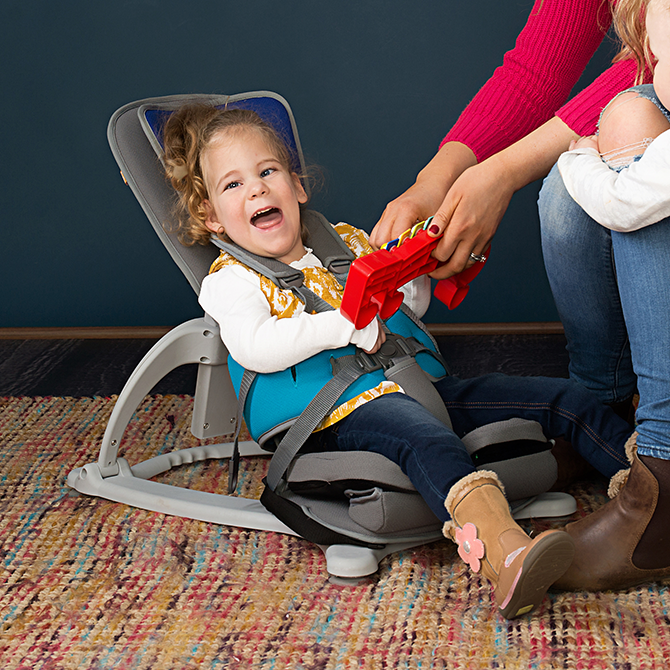 Appreciate being able to make our user more comfortable over a longer period of time, as she loves sitting in her GoTo seat.